This article has been in the works for months. Each week I decide to work on it, something more pressing that invites my commentary comes up. But I have bucked all temptations to abandon it this week. Few people realize that “Bello” is Nigeria’s most universal “ethnic” name. Fewer still give a thought to how that came to be. By “ethnic” name, I mean a name that isn’t derived from universal religions like Christianity or Islam, which most Nigerians profess and practice, and that isn’t a Western ethnic name introduced to us through colonialism. Bello is a Nigerian Fulani name that has, over the years, lost its ethnic rootedness. It is the only name that is borne either as a first name or a last name in all Nigerian geo-cultural groups, except in the former Eastern Region, that is, Igboland and southern minorities, minus Edo State (who doesn’t know the Bello-Osagie family?). If we go by Nigeria’s contemporary geo-political categories, it’s only in the southeast and in the south-south (with the exception of Edo) that you may not find a native Bello. 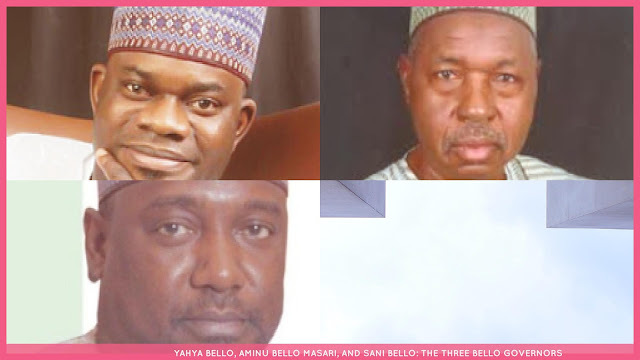 (There are three Bellos among Nigeria’s current governors, and at least one of them has no drop of Fulani blood in him). Essentially, of Nigeria’s 36 states, only 10 states don’t have a native Bello. No other “ethnic” name even comes close to this onomastic cosmopolitanism. (Onomastics is the study of names). Sometime in 2000, as Weekly Trust’s news editor, our editor-in-chief, Malam Kabiru Yusuf, asked me to represent him at a World Bank-organized workshop in Ibadan for Nigerian newspaper editors. During the week-long workshop, I encountered a particularly visceral Fulani-phobic Lagos-based newspaper editor whose last name was “Bello.” In the course of one of our discussions, I pointed out to him that it was strangely ironic that he hated the Fulani so much even though he bore their ethnic name as his last name. He was infuriated. He called me “ignorant” and said I was one of “these Nigerians” who couldn’t tell “Muslim names” and “Hausa-Fulani names” apart. The only way I could react to his outburst was to let out the uncontrollable guffaw that welled up in me, which both angered and embarrassed him. I pointed out to him that, unlike many languages, Arabic has only three dominant vowels (and a few minor ones), and “e” and “o,” which appear in “Bello,” are NOT one of Arabic’s vowels. Basically, I told him, you can’t even write “Bello” in Arabic without orthographic improvisation, such as ajami (as improvised Arabic script in non-Arab languages is called), which may be unrecognizable to Arabs. He didn’t believe me. So I left him to stew in his own ignorance. I was pleasantly shocked when, the following day, he called me aside and apologized. “You were right; I was wrong,” he said. “I asked an alfa [as Islamic scholars are called in Yorubaland and elsewhere] and he confirmed that Bello isn’t an Arabic or Muslim name.” I don’t know how he reconciles his phobia for Fulani people and his onomastic association with them. The last time I checked, he hadn’t changed his name. I share this anecdote to illustrate the onomastic universality of “Bello” in Nigeria. Although it’s an ethnic Fulani name, it’s now impossible to accurately guess the ethnic origins of the bearers of the name. If someone tells me his name is Tanko or Danjuma, for instance, I can guess that he is either ethnically Hausa or culturally Hausa. If someone tells me they are Toyin, I can guess that they are either Yoruba or from one of the Yoruba-influenced cultures in Edo, Kogi and surrounding areas. An Okoro is most definitely either Igbo or from the immediate cultural environs of the Igbo. An Onoja is either Idoma or Igala, etc. Not so for Bello. A Bello could be native to any one of 26 states in Nigeria—except Akwa Ibom, Cross River, Bayelsa, Rivers, Delta, Anambra, Abia, Imo, Ebonyi, and Enugu states. Most non-Fulani people who bear the name don’t even know it’s a Fulani name. And, although several Nigerians associate the name with Islam, many Christians and non-Muslims bear it, as my anecdote above shows. But it was probably Sir Ahmadu Bello’s choice to adopt Bello as his last name in honor of Sultan Muhammad Bello, his great grandfather, that helped extend the reach and appeal of the name beyond Nigeria’s northwest. (He used to be known as Ahmadu Rabah, after his natal town of Rabah near Sokoto). 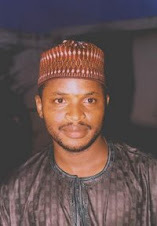 In many parts of the North, particularly in Ilorin and environs, every Ahmadu or Ahmed used to be called “Bello,” leading southwest Yoruba people to derisively call every Ilorin man “a Bello.” It seems plausible that the proliferation of “Bello” in Yorubaland occurred by way of Ilorin alfas there. That’s why non-Nigerian Fulanis, particularly in Mali, bear Ballo instead of Bello. There is, for instance, a young Malian basketballer by the name of Oumar Ballo who attracted the attention of the NBA because of his unusual height and frame. There is also a French footballer by the name of Fodé Ballo-Touré, who is obviously at least part Fulani. But Bello is also a common last name in Italy, and it means “beautiful” or “handsome” in Romance languages such as Italian, Spanish, Portuguese, French, etc. Of course, this is just a lexical accident. There is no relationship between the Nigerian Fulani Bello and the Bello in Romance languages. Well, in this open season on the Fulani in Nigeria (as a result of the unending ravages of violent Bororo cattle herders), it helps to realize that the country’s most ecumenical name owes debt to them.